Cottage Elements: A Fun Weekend of Fundraising Events! Before I tell you about my weekend, I have to tell you I had another computer meltdown. Is it me? Another hard drive has once again bit the dust. So as I do this post, it is definitely a labor of love as my hubby's Dell computer is nothing less than archaic! I mean, how can a 2001 computer even still work for goodness sake! But that is what I am typing on believe it or not. 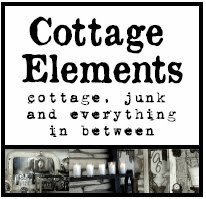 So please bear with me if I make a few spelling mistakes, or if my wording isn't quite up to pare, or if I'm not able to check on all my favorite blogs or leave comments. Everything I do on this computer takes time...a lot of time. So my sincere apologies. And they tell me I'll have to wait awhile to get my computer back, a two to four week wait. It can't come any sooner. So as my post title told you, I was a busy girl this weekend. I had not one fundraiser, but two. Yeah, two! And they were both to most worthy causes. 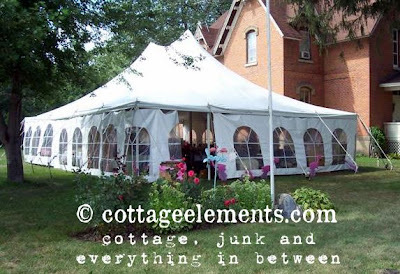 The first, a Breast Cancer Fundraiser with proceeds going to the Susan G. Komen Foundation, was held under the big tent by none other than the Pfarkel Sisters in St, Charles, Minnesota, a small town just southeast of Rochester.. Sharon, Diane and Janelle hold this event each year with this year being their seventh! 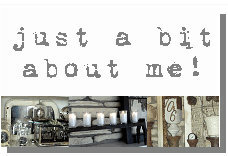 It is hugely successful and is done with a trash to treasure theme. Thus, the name, "Trash to Treasure Auction and Wine Tasting". Yes, that's right. It also comes with a wine tasting, yum, and this year included all wines from local Minnesota wineries. I attended this years event for the first time with my friend, Sue Whitney, she's always fun to be with, and also my daughter Rebekah. Sue and I both donated a trash to treasure item, mine being one I brought to Amy's blogger party (check it out here--I won third place in her contest). Yeah! Sue, unfortunately forgot her project at home (though she remembered all the pieces to go with it). 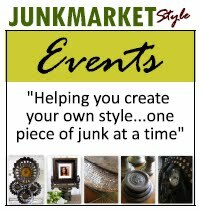 You'll have to check out what she came up with instead on her website, JUNKMARKET Style. Sharon most graciously put us up in her B&B (thanks, Sharon!) so we didn't have to worry about rushing home when it was done. Rebekah and I even got to share the Wedding Suite! LOL! So all in all, we were able to enjoy the company, sip some wine and bid on some great donated projects. I think it was a profitable night for us and the Susan B. Komen Foundation! Janelle, Sharon and Diane, better known as the Pfarkel Sisters, are a great bunch. Thanks gals for a great time! The fundraiser/wine tasting is held every year at Sharon's B&B, Victorian Lace Inn. The wine tasting was served up by Janelle's daughter, Meghan and her boyfriend, visiting from Las Vegas. Meghan is a Vegas Cop! Who'd of thunk? And then there was the food. Mmmmm good! Thanks, gals! We actually enjoyed the music of the Bandanas, a group comprised of three sisters, Rosie, Bev and Barb. Some of the attendees sitting, waiting for the festivities to begin! Some of the goodies just waiting to be bid on. Sharon's ready to get things started. Let the bidding begin! Our beloved auctioneer for the event was St. Charles own, Laura, owner of Gathering and Gifts. She is all too aware of how worthy this event is and is battling breast cancer herself. Cheers to another successful Trash to Treasures Charity Event. Great job, gals! Now I'm sure you wondering...I said I had two fundraisers. We'll after returning from Friday night's fundraiser we had another one on Saturday night in St. Paul. It was a fundraiser for my daughter's Special Hockey Team, an organization comprised of players with special needs, both cognitive and physical. Our job was a simple one. We were to meet and greet the guests. Easy enough. And the highlight, being able to meet a couple of the Minnesota Wild Hockey players. Rebekah was thrilled! Didn't really matter to her if she had ever heard of them. She even brought with her all the Wild cards she had collected and asked them to see if they were any of them. She was so cute! 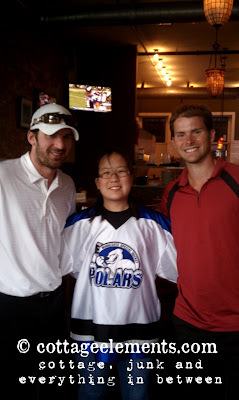 The two players she met, Josh Harding our backup goalie, and Nate Prosser a new Wild player with great potential from our neck of the woods, Elk River. Before we left Rebekah, who's not so much into giving hugs, gave both of them huge hugs. It was a great way to end a wonderful weekend. Thanks to everyone who put on both of these amazing events! 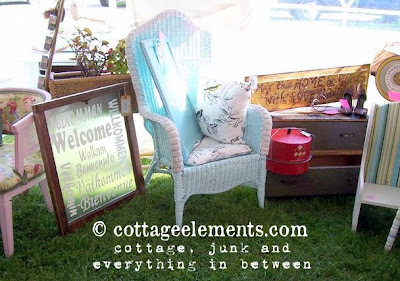 To see more of my JUNKMARKET posts and projects, click on the link on the side of my blog. What a wonderful idea..and I wish i'd been there to bid on that beautiful high-backed wicker chair..I'm sure it went to a good home..